Who’s looking for a crisp white wine to enjoy on the back porch as winter turns into spring? Here’s one that’s available in North American and European stores at prices ranging from a low of C$12.95 in Ontario, to a high of C$15 plus taxes in British Columbia where every year, 2,200 cases of it are sold. That’s 26,400 bottles! It’s actually the best selling boxed white wine at Systembolaget, Sweden’s wine monopoly, where 1.9 million litres were sold for 89 kr/box (C$14.50) in 2015. There are literally oceans of this wine available around the world. That said, it’s perfectly acceptable – it’s wine and it’s doing its thing. The Lurton Fumées Blanches has the colour of pale straw and aromas of light gooseberry, citrus, herbaceous green grass, and some distinct flint. The palate is dry with average acidity and flavours of lemon zest, yellow grapefruit, more gooseberry and spring leaf. There’s a minerality rounding off everything, and the flinty smoke pulls through the palate. A WSET Good wine, there’s not a whole lot of complexity here. But that said, it’s not sweet, it generally tastes as a Sauvignon Blanc should, and it’s affordable. 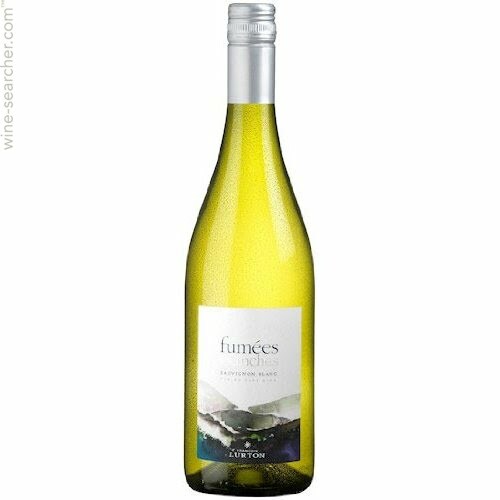 This entry was posted in OTHER and tagged france, Francois Lurton, fumees blanches, sauvignon blanc, Vin de France, white wine. Bookmark the permalink. Not a fan of S.B. How about reviewing Spier’s Chenin Blanc, ORMARINE Picpoul de Pinet. or Bila Haut Blanc next? Like you new focus on available and affordable wines. Yes, I will give those a go!